Finding the right dentist can be hard to do. You want a friendly atmosphere and caring staff to help you with all your dental care needs. 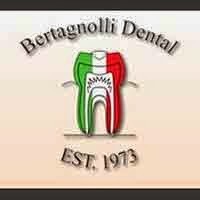 The professionals at Bertagnolli Dental would like to welcome you to our practice. You will benefit from our dedicated team of professionals who will give you the personal attention you deserve. We provide a full range of services using state of the art technology and techniques for your family. As a family dental office in Westminster, we offer a comprehensive list of restorative, general and cosmetic dental care services to meet the needs of your entire family. When you have a dental issue, you need a dental office that has the experience to effectively diagnose and treat the issue. We want you to feel comfortable that you have chosen the best dental office in Westminster for all your dental care needs. Call and schedule your appointment today.